Allison Christensen is using her Make A Wish gift to help others. At a young age, doctors discovered that Allison had an enlarged heart and would need a transplant to survive. At the age of eleven, Allison had a stay at Seattle Christian’s Hospital where she created duct tape wallets to pass the time. One of these wallets, custom-made with Seahawks duct tape, was presented to the Seahawk’s own Russell Wilson, who showed off the wallet during a press conference, causing Allison’s deed to be known nation-wide. The now fourteen year old is making news with another selfless act—she’s using her Make-A-Wish gift to acquire shoes for children in Haiti. “It’s like I had all the power in my hands and I didn’t know how to use it. I came up with giving shoes, specifically to people in Haiti, because I could not think of anything else and I love shoes and I have enough shoes,” Allison said. Allison and The Make-A-Wish Foundation worked with Tom’s shoes. Tom’s is known for donating a pair of shoes for each pair bought. As part of Allison’s wish, Tom’s donated shoes and provided running water for a school whose clean water was compromised after an earthquake several years ago. Allison had previously spent time in the Philippines with her mother, and was upset at the number of kids she saw without clothes or shoes, which inspired her wish. Allison has received her transplant, and she is still regularly taking medication. 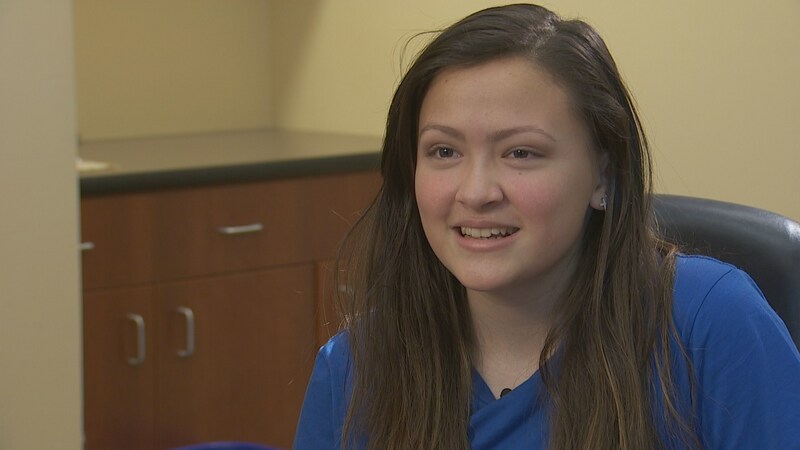 Allison is healthy, happy, and helping others.